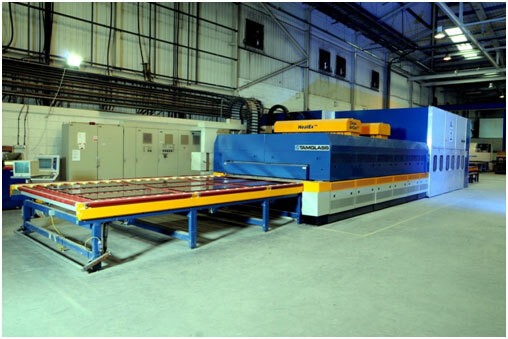 Toughened glass (sometimes also called tempered glass) is regular float glass that goes through a heating and cooling cycle. This process changes the structure of the glass. 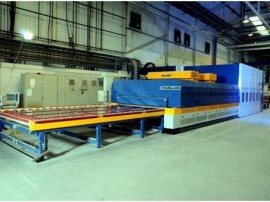 After this processing, the glass is left mechanically and thermally changed. These alterations make it about 5 times stronger than regular annealed glass. 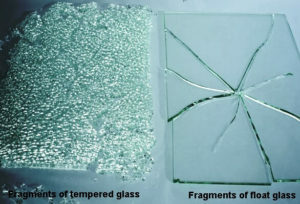 In addition, when this glass breaks, it will shatter into small pieces making it safer than regular glass breakage. 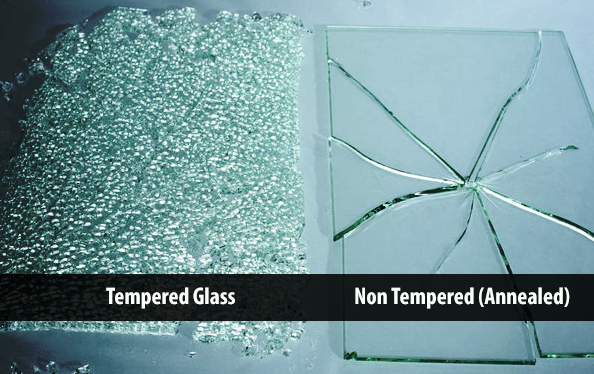 This element of safety provided when the glass is broken, along with the toughness that this tempered safety glass offers, means this type is frequently used when strength, thermal resistance and protection are major concerns. 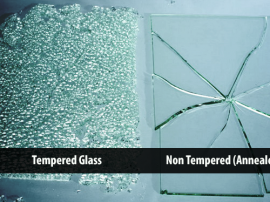 You may find the glass used in rear and side doors in vehicles, in ovens where being heat resistant is vital, showers, skylights and in a number of other places. Most glass types can be toughened in the thickness range of 4mm – 25mm. It should be noted that edge treatment, hole and notch positioning need careful consideration when glass is to be toughened. 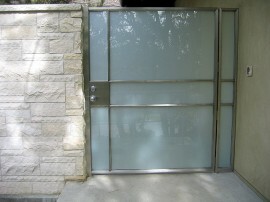 Please contact us for further information on toughened glass, laminated glass or anything else from our product range.